Virtual Reality: Here To Stay? In 2016, virtual reality saw a large increase of products and users. 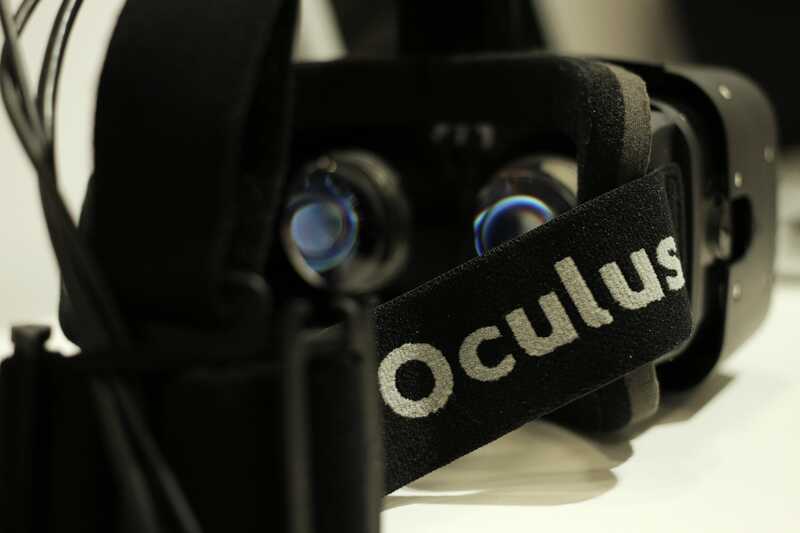 Since the development of the gaming headset Oculus Rift started three years earlier, the interest for the technology grew rapidly in the entertainment sector. While VR kicked off on the PC with the Rift and HTC Vive, the biggest VR headset for gamers to date is the Playstation VR with over three million sold units. Aside from the high-end headsets, a plethora of cheaper ones have become available for smartphones, making niche technology more accessible to a wider audience. The term “virtual reality” is nothing new. In fact, it was born in 1987 by Jaron Lanier, whose company VPL was the first to sell VR goggles to customers. The Dataglove and the Eyephone were among their most well known products. In 1993, Sega announced a VR headset for the gaming console Sega Genesis. However, it remained a prototype and was therefore considered a huge flop at the time. 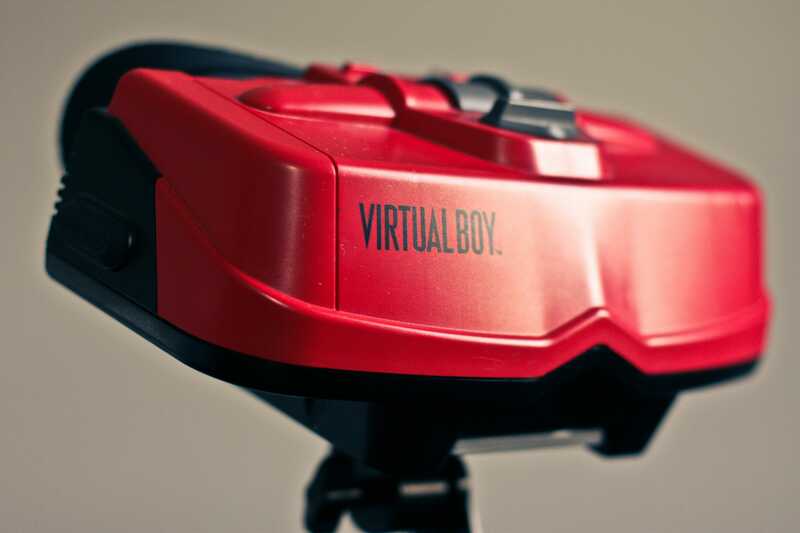 Two years later, Nintendo released VirtualBoy, the first portable gaming console that was head mounted and could present stereoscopic 3D. Despite price drops, it never took off and only 22 games were ever released. Fast forward twenty years and virtual reality has come a long way. The sense of immersion that VR gives is unprecedented and the feeling of being inside of the game world has limitless potential. It can truly be a jaw dropping experience with the right games and headsets. With that being said, there are definitely problems and areas for improvement. The most apparent shortcoming is the resolution. When the lenses are right up to the face, 1080x960p (PSVR) or 1080x1200p (HTC Vive/Oculus Rift) per eye is far from optimal in producing a clean image that feels real. While still immersive, the resolution on this generation of headsets is the biggest drawback. The Windows Mixed Reality headsets have a resolution of 1440x1440p per eye, which is a significant step up in image quality, but it is still very apparent that it is lacking in sharpness. Higher resolutions brings another challenge – delivering a consistent performance. VR titles ideally need 90 frames per second to not be completely nausea inducing and the game is rendered twice (one per each eye). This takes a huge toll on the PC or console and many people can not afford such powerful machines. VR titles are created with simple graphics to counteract this and for the most part, they look like games from early 2006. It is widely known that virtual reality games and videos in their current state can induce motion sickness, which occurs when the brain thinks that the body is moving just like in the virtual world – even though it is not. To tackle this, there are comfort options such as teleportation and 90 degrees turning, which have been proven to eliminate a lot of the queasiness. Newer headsets with higher resolutions such as the Windows Mixed Reality headsets can help eliminate nausea just by the higher pixel count, which is one step forward. Another hurdle is getting past the idea of wearing a big, bulky headset that needs an extraordinary amount of cables to work. Furthermore, there needs to be different cameras set up around the room to capture all body movements. Some people must rearrange entire rooms to create a safe play space for VR and even still, there are complications of having many cables attached. Luckily, there are already headsets that try to reduce this issue; Windows Mixed Reality headsets only come with one cable and the headsets themselves have built-in cameras for tracking, which saves a lot of space (for the price of inferior tracking to more traditional competitors). With an expensive wireless adapter, you can skip cables completely when using the new HTC Vive Pro. Oculus Go takes it a step further by being a standalone VR headset that does not require any cables or even devices to work, which is appealing to an audience who thinks that the original HTC Vive’s base station setup is too much to handle. Even so, nobody wants to wear a big headset to experience VR in the long run, but instead use a pair of glasses. VR must be easily accessible and wireless. Chinese manufacturer Pimax is set to release two VR headsets later this year named Pimax 8K and Pimax 5K. These headsets are the follow-ups to 2016’s Pimax 4K. Both of these will push the technology forward in terms of resolution, where the Pimax 8K is sporting a 4K resolution per eye and the Pimax 5K has 2560x1440p per eye. 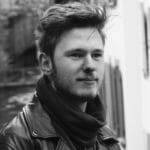 While the input disappointingly will be 1440p for both headsets (upscaled to 4K per eye on the Pimax 8K), it will surely be a step up from the previous generation of headsets. This higher resolution is coupled with a much wider field of view (200 degrees) in comparison to the older HTC Vive, Oculus Rift and PSVR (100-110 degrees). The wider field of view reduces the feeling of looking at the game world through ski glasses and resembles human vision much closer. This takes immersion up a notch. Speaking of immersion, this new technology will not only benefit existing games, but also help push the boundaries for new game experiences. The first person perspective is very important to take full advantage of the format and we can expect to see that being used predominantly even in the future. Horror games are a natural fit for the VR space, playing on the strengths of immersion. Resident Evil 7 is still one of the most impressive triple-A titles in this genre and a must-play in VR. The atmospheric world became terrifyingly real in comparison to the 2D version. Dirt Rally showed that racing titles work excellent in VR and appeal to an audience that does not normally enjoy the genre. The cockpit view became useful for real and the fun factor skyrocketed. Indie multiplayer shooters such as Outward, Pavlov and Standout VR have become increasingly popular on the PC front. While the gameplay mechanics of moving your hands in real life to reload guns or pick up objects have a long way to go, it is a huge leap in immersion for shooter titles. Imagine a Call of Duty or a Battlefield multiplayer experience in a 4K resolution and with more refined game mechanics? There is surely a lot of unexplored potential for VR games and this will go hand in hand with better technology. This brings us to the ultimate question: Is VR here to stay? It has a long way to go to reach its true potential, but this time, the technology is good enough for people to see what a game changer it can be. VR gaming is still very much in its inception, but in a few years, the technology will be better, cheaper and the graphics more impressive. This will lead to gaming experiences far more immersive than what they already are. This is when VR can truly reach out to the masses.